Made around the world and known for being medium-to-full bodied. Similar to Cabernet Sauvignon, but generally a bit more delicate (less tannin) and with more raspberry fruit rather than cassis. 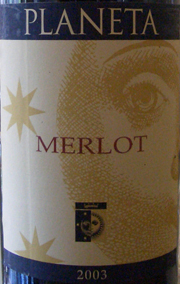 Merlot is often blended with Cabernet Sauvignon to soften some of the harsh tannins typical of Cab. Merlot can usually stand up well to beef, but it will also work with chicken and duck (although there really is no better wine to have with duck than Pinot Noir). If you need red wine with your seafood, you may be able to get away with Merlot when having heartier fish like tuna, shark or salmon. It will also work well with a range of vegetables including squash, mushrooms and potatoes. Click here to see recipes that go really well with your bottle of Merlot.